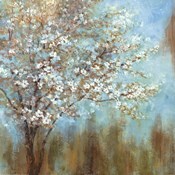 Cherry blossom art depicts the blooms of cherry trees. 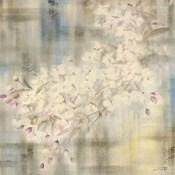 These sensitive floral pictures can either depict the entire tree or only a small portion. 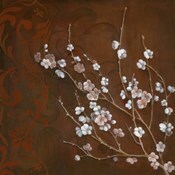 As one of the most iconic sights of Japan, cherry blossom art is frequently found in Asian art prints and modern art that depicts these blooms generally has an Asian flair. 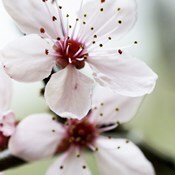 Flower photography using cherry blossoms is a popular medium for these delicate flowers. 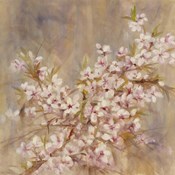 The delicate pink and white coloring of cherry blossoms is one that is difficult to translate to canvas effectively and so photographers allow cherry blossom art to speak for itself. 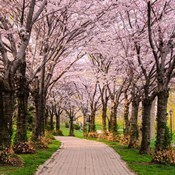 Flower photography like 'Cherry Blossoms' or 'Cherry Blossoms II' by Heather Johnston are typical of this type of photograph. 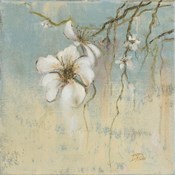 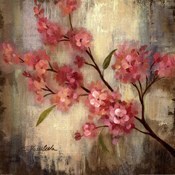 These floral pictures serve to depict the fragile grace and natural beauty of these blooms. 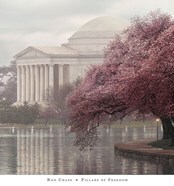 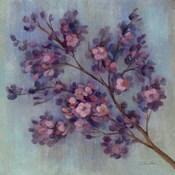 Many Asian art prints use cherry blossom images in their artwork. 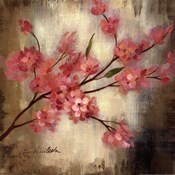 In Asian culture, the cherry blossom is symbolic of good fortune and new love. 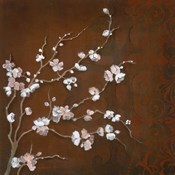 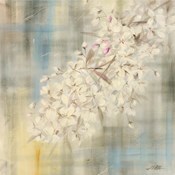 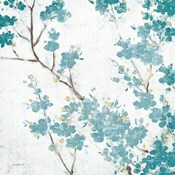 Asian cherry blossom prints like 'Cherry Blossoms and Dragonfly' are a primary example of classic cherry blossom art. 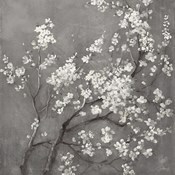 Many modern artists also emulate the traditional Asian style in their work, as seen in the 'Cherry Blossoms on Cinnabar' by Janet Tava. 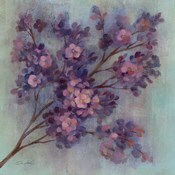 As some of the most popular subjects of floral pictures, it's no surprise that natural plant paintings featuring cherry blossoms are increasingly in demand among art audiences. 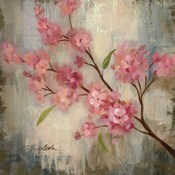 Cherry blossom art shows the whimsical hopefulness of nature and also helps to illustrate beauty that can be found in the world.